Although Apple has offically declared that the latest iOS 7 will be released this fall, it seems that many iOS device users, especially those who want to be ahead of the rest, have installed the newest iOS 7 in beta on their iPhone, iPad or iPod touch. Well, when you have been drawn in to enjoying the new design of iOS 7, you must admit that there are still some pitfalls, like the instability, which makes some people want to drop the new iOS 7 and get back to their previous iOS 6. The problem is that restoring an iOS 7 iTunes backup to a downgraded iOS 6 device is impossible. When you've encountered this and you still want the data in the backup file back, keep the backup and don't discard it. 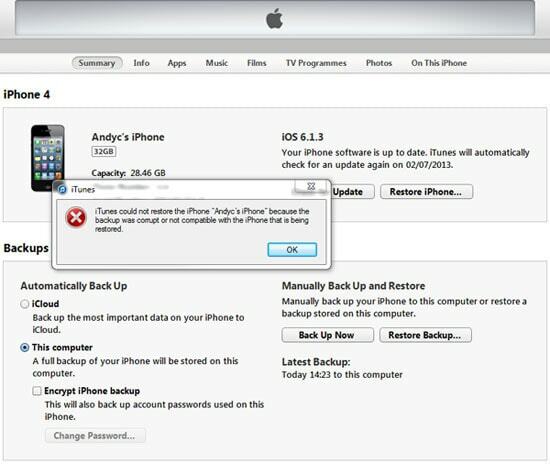 Next, we are going to show you how to restore your iOS 7 iTunes backup to your iPhone, iPad or iPod touch. Before you doing anything else, get Wondershare Dr.Fone for iOS (Mac) or Wondershare Dr.Fone for iOS (Windows) and install it on your computer. Download the trial version for free below. 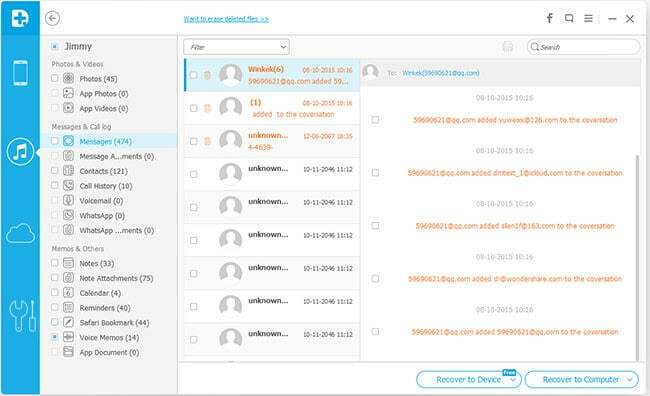 What can Wondershare Dr.Fone for iOS can do for you? Both versions of Wondershare Dr.Fone for iOS are great companions to iTunes. No matter your device is running on iOS 7 or iOS 6, they can help you extract all contents in your device's backup generated by iTunes. Moreover, before restoring the backup, you can preview the detail of messages, contacts, photos, notes, call logs, etc. And the restore can be flexible. Different from the "All or nothing" rule of iTunes, you can selectively restore what you need from the backup with this software. Now follow the steps below to explore more by yourself. To get started, close iTunes on your computer and then run Wondershare Dr.Fone for iOS (Windows or Mac). Switch to Recover from iTunes Backup Files on the top of the program's window, and you'll see the window below. 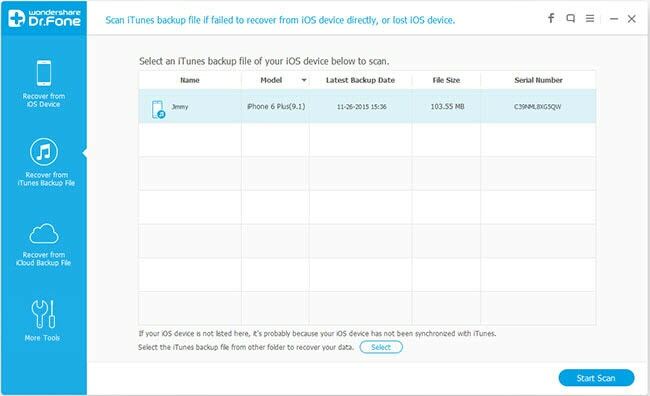 Here the iTunes backup file will be automatically scanned and displayed in front of you. Choose the one of your iPhone and click Start Scan to extract it. Note: If you have more than one device synced with iTunes on your computer, you'll see a few iTunes backup files here. Just choose the one with a recent date for your iPhone and move forward. The extracting process will take you a few seconds. After it, you'll see a scan result as follows. All data in the backup have been extracted and displayed in categories. You can click to check them one by one, and then tick off the one that you think you need them. Click the Recover button at the right corner of the program's window. Now you've saved them all to your computer with one click. The recovered data is saved on your computer. If you want to restore them to your iPhone, iPad or iPod touch, you can use Wondershare MobileGo for iOS to put them back. It won't hurt any data existing on your device.